Surprising your son, daughter, friend, or relative with a pet as a present may seem thoughtful, but it typically doesn’t end well for the cat, dog or other critter. Thousands of them are surrendered to animal shelters by March, some as soon as the first of the New Year simply because families or new owners weren’t prepared for the care and responsibility. 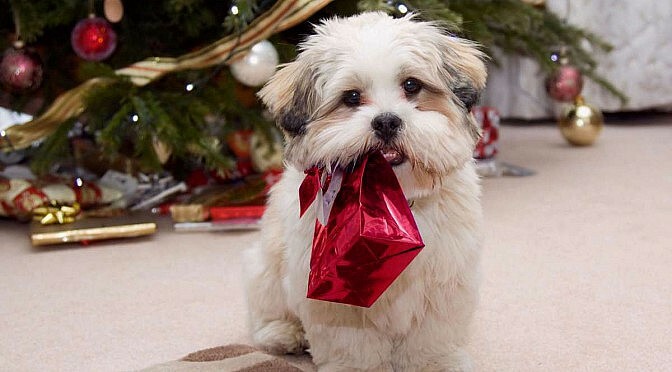 Here are a few reasons why giving pets as surprise Christmas gifts, or any kind of gift, is a bad idea. It’s pretty well known or accepted that the bond between pet and pet owner needs to be very strong and present right from the beginning. You can’t go out and pick just any dog or cat. It is also tough to build that relationship during such a busy time of year. The surprise pet is already stressed at having been moved, of being introduced to a totally new environment from the pet store or family or shelter that he’s been used to, and really needs a quiet, calm environment. This quieter, calmer time is also necessary for pets and pet owners to establish a routine. With the chaos surrounding the whole holiday season, pets are often neglected. Plus kids can be unreliable; kids change quickly. You know this! The puppy melts their hearts for a few days or weeks only. But then it needs to be walked every day (in the rain). It needs careful attention to its feeding and eliminating if it’s going to be housebroken effectively. It needs to be taught not to jump on people. The kids oohing and aahing under the tree will very soon move on to Facebook and texting their friends and ignoring the poor wee creature. Pets should not be surprise gifts because, particularly for new pet owners, some families are completely unprepared and overwhelmed by the care and expense that a new pet requires. Puppies and kittens especially, but adult dogs, too. Typically, the larger the dog, the larger the expense for vet care and dog food and the bigger the clean-up both in-house and outside. Everything that the animal needs to be properly cared for should be discussed and planned well in advance, including the kind and size of dog that best suits families’ individual home situations. Preparation includes realizing how decorations, foods and business at Christmas time can be frightening to animals. Many parents don’t consider that 2 weeks later the kids are back to school and the puppy still needs walks and plenty of attention (or else it starts chewing things – all sorts of things!). Realistically, it will be YOU looking after this creature, if you think it will be looked after by the children once Christmas is over, you are fooling yourself. One alternative is to buy the pet supplies for Christmas and leave choosing the puppy or kitten or whatever, until after things have settled down. If they still want a puppy come the new year, and are willing to take responsibility for it, then maybe it is something that could happen for their birthday.